[S232] Ancestry.com, Quebec Vital and Church Records (Drouin Collection), 1621-1967, Québec (Anglican Cathedral Holy Trinity church), 1917. [S205] Newspaper, The Times & Transcript, 5 September 2006. [S232] Ancestry.com, Quebec Vital and Church Records (Drouin Collection), 1621-1967. Québec (Anglican) (Québec (Anglican Cathedral Holy Trinity church)), 1904. [S232] Ancestry.com, Quebec Vital and Church Records (Drouin Collection), 1621-1967. Québec (Anglican) (Québec (Anglican Cathedral Holy Trinity church)), 1868. [S522] Gordon A. Morley and William J. Park, Mount Hermon Cemetery, Q122. [S232] Ancestry.com, Quebec Vital and Church Records (Drouin Collection), 1621-1967. Québec (Anglican) (Québec (Anglican Cathedral Holy Trinity church)), 1894. [S232] Ancestry.com, London, England, Births and Baptisms, 1813-1906. Westminster, Christ Church, Saint Marylebone, 1833. [S232] Ancestry.com, London, England, Marriages and Banns, 1754-1921. Camden, Saint Pancras Parish Church, 1830. Walter Johnston Dunlop Champion was born on 31 October 1918 in Québec City.1 He was the son of Walter Sewell Champion and Effie Dunlop.2 Walter Johnston Dunlop Champion was baptised on 29 March 1919 at Québec City.1 He died on 18 February 2011 at The Moncton Hospital at the age of 92. [S232] Ancestry.com, Quebec Vital and Church Records (Drouin Collection), 1621-1967, Québec (Anglican Cathedral Holy Trinity church), 1919. [S205] Newspaper, The Montreal Gazette, February 24, 2011. [S232] Ancestry.com, Quebec Vital and Church Records (Drouin Collection), 1621-1967. Québec (Anglican) (Québec (Anglican Cathedral Holy Trinity church)), 1866. [S519] B.M. 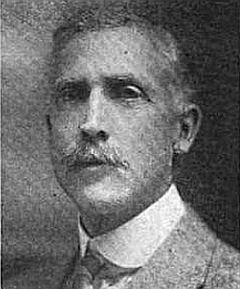 Greene, Who's who in Canada, 1922 ed. p. 62. [S232] Ancestry.com, Quebec Vital and Church Records (Drouin Collection), 1621-1967. Québec (Methodist) (Québec (Wesleyan Methodist Church)), 1912-1914. [S232] Ancestry.com, Quebec Vital and Church Records (Drouin Collection), 1621-1967. Québec (Anglican) (Québec (Anglican Cathedral Holy Trinity church)), 1940. Elizabeth M. Champlin married John W. Boyenton. [S107] 1880 US Census, Cambridge, Middlesex, Massachusetts. [S392] Website findagrave.com (http://www.findagrave.com/) "# 73235722." [S155] Richard Gookin, Gookin family, p. 34. Elizabeth Chandler was the daughter of Samuel Chandler and Margaret Thompson.1 Elizabeth Chandler married Ezra Wait Sr., son of Colonel Benjamin Wait and Lois Gilbert. Child of Elizabeth Chandler and Ezra Wait Sr.
[S208] 1900 US Census, Richfield, Hennepin, Minnesota. [S392] Website findagrave.com (http://www.findagrave.com/) "# 137705072." [S89] Family Search, Vermont, Births and Christenings, 1765-1908. [S75] Frederick Lewis Weis, Colonial Clergy, p. 51. Job Chandler married Anne Thorowgood.1 Job Chandler died in 1659. [S70] Unknown author, The Chandler family. The descendants of William and Annis Chandler, who settled in Roxbury, Mass. 1637., p. 119. Joseph Chandler was the son of Thomas Chandler and Mary Stevens. Joseph Chandler died before 1787. Lucy Chandler was born on 18 September 1733 at 3 o'clock in the afternoon. She was the daughter of Judge Thomas Chandler and Elizabeth Eliot. Lucy Chandler died on 28 August 1773 in Walpole, New Hampshire, at the age of 39 unmarried.